Welcome to the final MCE study guide page. You have made it this far and you only have one more large section to go. The Program Fundamentals portion of this exam is demanding. It is important to understand all the program fundamentals that are outlined here but also the information that lives in the Marketo documentation. This topic list comes from internal research as well as direct from Marketo. It is best to use this in congruence with all the other resources when preparing for the MCE exam. Create the email program within the desired location of Marketo. Once the program is cloned locate the control panel, click Add A/B Test. Select your email and modify the subject line. Use clicks as your criteria. Schedule your winner and the date time you want to initiate the send. 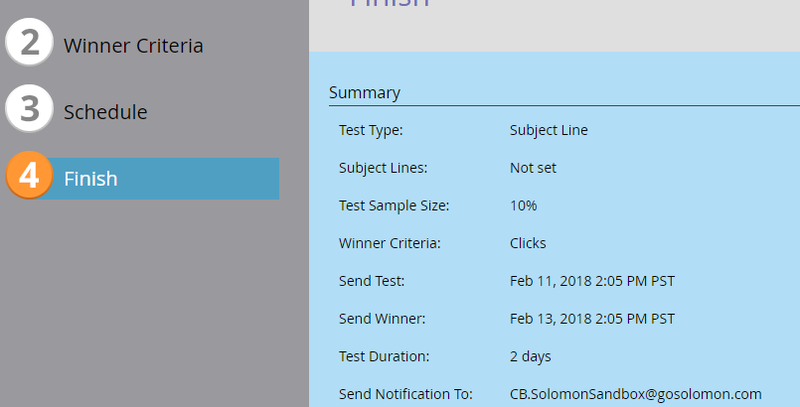 Click finish to schedule the send. Stream resets all exhausted leads because new content has been introduced in the stream. All the leads will now receive the new content they have not been sent; leads won’t receive duplicate emails in the engagement stream. Once all the new casts are sent – then leads will exhaust again. Activate the content and the emails you want to include in the nurture streams. Create a transition rule between streams for when a lead qualifies. 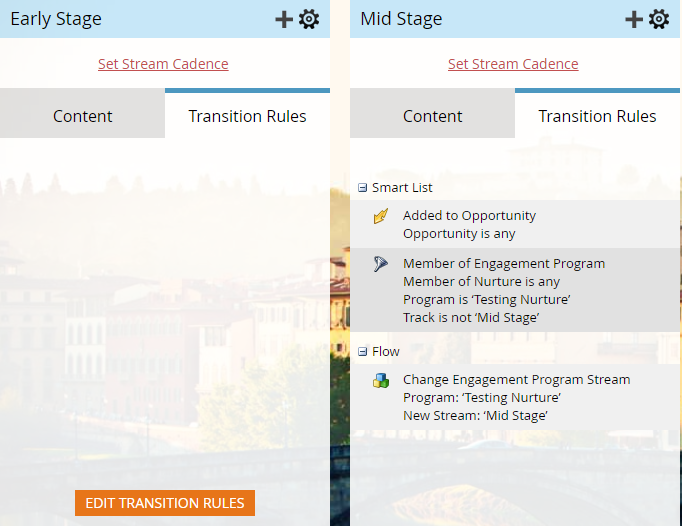 Note: The first Nurture Stream can have transition rules. Unsubscribed, exhausted, engaged, program status, next cast, cast before exhausted. With multiple triggers, a person goes through the flow if ANY of the triggers gets activated. Only the first matching choice is applied to the lead in that flow step. This is what a typical smart campaign status flow would look like. A lead can only go forward in the process. A lead will be invited. They will then register and attend or not attend the event. After the launch of the webinar, a program can be on-demand content. An email can be sent to a lead or anyone in the database. An alert is a real-time action that is sent to a sales member of your company if a trigger is activated. Tasks can also be created for sales which identify the next steps for a sales representative if a lead takes a designated action. Segmentations can create dynamic content, but smart lists do not. Advanced thank you pages can be activated in the form edit section. The functionality is based on being able to direct leads who make certain form field selections to different landing pages based on those selections. 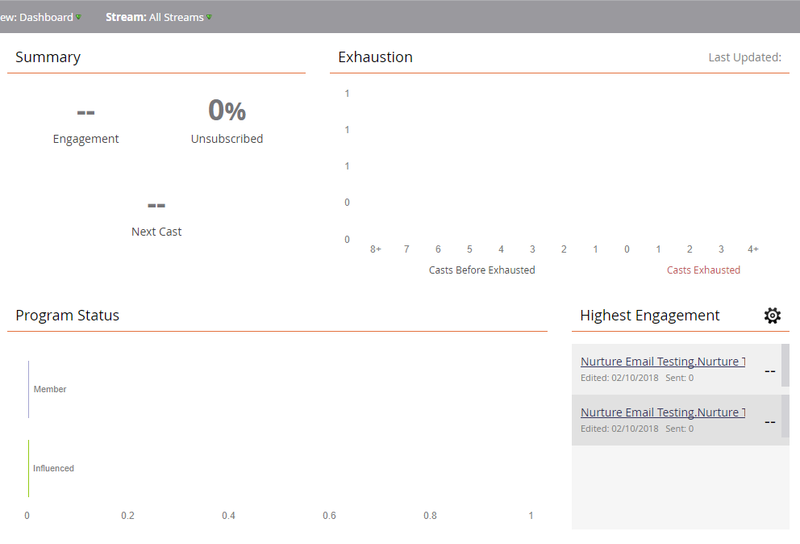 Adding people to engagement program will cause the lead to receive the setup cadence of emails until exhausted again. Pausing will pause leads from receiving content in the nurture stream. Programs are one of the many keys to measuring the success of how your instance of Marketo is working. When setting up a new program, determine the type of program you will need. There are a number of resources that can help break this down. Key metrics for program success include, but are not limited to, Success, Period Cost, Status of leads. There are many methods to set up the correct program success metrics. There should be a business justification for setting up a nurture stream. However, the transition question above will show high-level where transition rules can be set up. 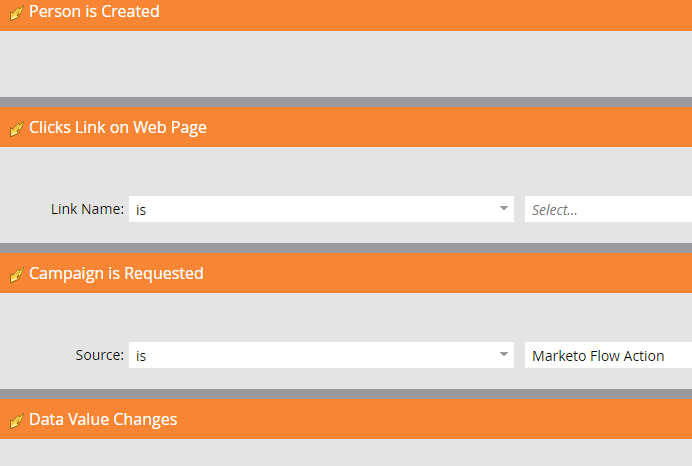 It is also possible to use batch smart campaigns to transition leads. Click on the email program in Marketo. Once selected, go to view and click Dashboard. This would be an event program in the event channel. There are many Marketo partners that assist in automating the registration process. These partners host webinars and have unique video links for those who register. ON24 and GoToWebinar are two popular webinar partners. There is a special token that is added to the href of your target text. This link is unique to each lead in Marketo. Given a screenshot with a flow step with choices, identify the impact of the order of choices. Smart campaigns contain smart lists which is the target audience. Flow steps are the actions you want to have happen to that list of leads. Include flow steps in the smart campaign for actions desired after the trigger. The lead will qualify if any trigger is activated and the designated filters apply. You can designate which filters to appy—ALL, ANY or ADVANCED, which allows a combination of and/or criteria. It is important to pay attention to the status stage. A lead is engaged if they are registered or engaged. Leads can only move forward in the program.